Enter the EF 85mm f/1.4L IS, Canon’s latest professional, portrait-length lens and, surprisingly, its first EF-mount 85mm with a maximum aperture of f/1.4. Previously, it offered both the f/1.2L and a lower-end f/1.8, skipping over the f/1.4 aperture that is so popular among other manufacturers, including competitor Nikon and third-party rival Sigma. It also comes in $ 400 cheaper than the f/1.2L, putting it neck and neck with the Nikon at $ 1,600. But a competitive price isn’t the only trick it has up its sleeve: Canon also graced it with optical image stabilization (OIS), making this the first stabilized 85mm prime. That’s great news for video shooters and a definite plus for anyone. As we discovered during our time shooting it for this review, while this may not be quite the legend that the f/1.2 model is, it is nonetheless a very capable lens that any Canon shooter would be happy to call their own. When optically stabilized lenses first hit the scene, a common refrain among experienced photographers was, “I’d rather have an extra stop in the aperture than two in stabilization.” The idea here was that a brighter aperture allowed you to shoot a faster shutter speed, thus preventing both blur from shaky hands and from subject movement, whereas optical stabilization does nothing to prevent the latter. This mindset has two shortcomings, however. First, it assumes that a shallow depth of field will always be an acceptable tradeoff for gathering more light (shooting a wider aperture lowers depth of field). Second, it doesn’t take into account the needs of the videographer — although, this is forgivable, given that nobody was shooting video on DSLRs in those days. The 85mm f/1.4L IS, however, rejects as false the choice between stabilization and a fast aperture, and we are all the better for it. The OIS is rated for 4 stops of shake reduction, but it also helps even at fast shutter speeds by making it easier to frame your shot in the viewfinder. The new Canon 85mm f/1.4L focuses blazingly fast and maintains accuracy on every shot. Telephoto lenses magnify any hand shake, which shows up in the viewfinder, so the OIS is particularly welcome here, whether you expressly need it to shoot a slower shutter speed or not. It allowed us to stop down and still get sharp results without worrying about the shutter speed, something that had been a problem with the Sigma 105mm F1.4 Art, a lens we tested on the same day. This isn’t a direct comparison; the Sigma is a longer focal length and weighs over a pound heavier, but the point is that even on very fast lenses, we’d still prefer to have stabilization. Ideally, other manufacturers will take note, although this may not happen. With Nikon, Sony, and Panasonic all producing full-frame mirrorless cameras with internal stabilization, the need for stabilized lenses is waning for everyone except Canon. One of the downsides of the 85mm f/1.2L was the slow autofocus. It had such large elements that needed to move so precisely to ensure accurate focus wide open, that it just couldn’t keep up with what we expect of modern lenses. The new f/1.4L has neither of those issues, and focuses blazingly fast on every shot. It wasn’t always 100-percent accurate, but this can likely be chalked up to user error; hey, it’s not always easy to handhold at f/1.4 and keep perfect focus. The lens would be excellent for indoor sports, like basketball. Here, the wide aperture, stabilization, and quick autofocus would all come into play. It’s a good focal length for that type of work, too. Autofocus performance is also one area where third-party lenses are unlikely to keep up. This may be a reason to consider the Canon over the less expensive Sigma 85mm f/1.4 Art, another lens that we loved in our review. We haven’t shot the Sigma on a Canon body, but AF performance, at least on a Nikon, was a bit slower than the Canon 85mm. It’s clear that Canon poured some effort into the optical design of this lens. It uses a relatively intricate formula with 14 elements in 10 groups, a big step up from the eight elements and nine groups of the 85mm f/1.2L. Canon’s press release went on about the “large diameter, high-precision molded glass aspherical lens” and some sort of super-advanced new anti-reflective coating. Despite all of this, it weighs less than the older 85mm, at just under 2.1 pounds, although it is a bit longer at about 4 inches. It’s actually a bit bigger and heavier than the Nikon 85mm f/1.4G, but that’s to be expected — it needs room for that stabilization system, after all. From an objective standpoint, we’d say the lens is very good, but just shy of excellent at f/1.4. Wide open, it’s not quite as sharp as the Sigma Art lenses we’ve grown so fond of, which is noticeable in fine details like eyelashes. Additionally, sharpness fades out toward the edges of the frame, although this will hardly be noticeable in the real world unless your subject is on the extreme periphery. Still, it’s something to think about if you’re going to mount the lens to a 50-megapixel EOS 5DS R and hope to get the most out of that sensor (we tested it on the 30-megapixel 5D Mark IV). The truth is, shooting in the range of f/2.8 to f/4 is really where the 85mm f/1.4L IS lens works its magic. Chromatic aberration is well controlled, but does still show up at f/1.4. Like the sharpness falloff, it’s hardly noticeable in real-world situations, but you’ll see it on some high-frequency details with enough contrast. Vignetting is also present at the wider apertures but isn’t bad, and as we’ve said before, is something we actually like on portrait lenses. What’s more, it’s quite easy to correct in post, so it’s hardly a drawback. On the plus side, by f/4 the lens is impeccably sharp, the vignetting and chromatic aberrations have vanished, and it still produces a shallow depth of field suitable for portraiture. While the bokeh isn’t quite as creamy smooth as what we’ve seen from the likes of the Sigma 105mm F1.4, the Canon still renders defocused areas quite beautifully throughout the aperture range, and we’re really getting into the realm of personal preference here. It’s tempting to always shoot wide open when you paid good money for that fast aperture, but the truth is, shooting in the range of f/2.8 to f/4 is really where this lens works its magic. It uses nine aperture blades, up from Canon’s usual eight, which produces rounder blur circles. It’s funny when you catch yourself reviewing images and thinking, “Wow, that shallow depth of field at f/1.4 looks great!” only to check the metadata and see the shot was made at f/4. The lens is impressively sharp here, a noticeable improvement over f/1.4, and images still look gorgeous — plus, you give yourself slightly more leeway with the focus. Yes, the paper-thin depth of field of f/1.4 sometimes just can’t be beat, so we’re glad the option is there, but we would urge you to resist the temptation and save f/1.4 for when you really need it. The EF 85mm f/1.4L isn’t the sharpest short telephoto we’ve used, but it does come close. What really makes it stand out is the optical stabilization, which makes this one of the most unique portrait lenses you can buy. We realize not everyone needs stabilization on an f/1.4 lens, but we were thankful to have it. 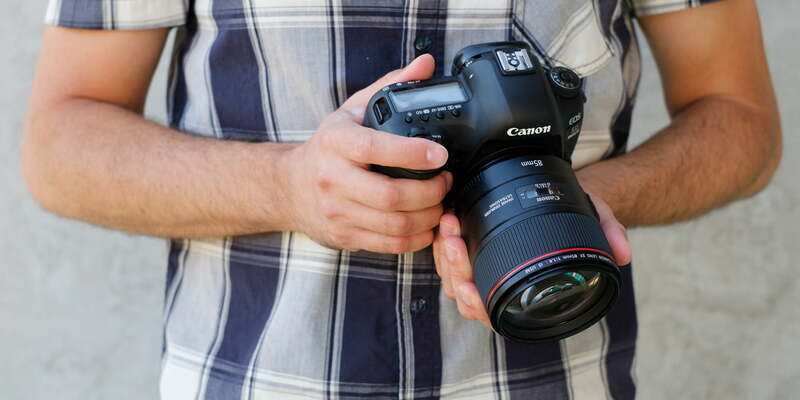 That Canon kept the price to a (somewhat) moderate $ 1,600 is also welcome, although we also realize this puts it well without of reach for most non-professionals. There is certainly one very compelling one: the Sigma 85mm F1.4 Art. At just $ 1,200, it easily bests the Canon on price and it also happens to be one of, if not the, sharpest 85mm lenses ever made. However, it does lack optical image stabilization and the sharpness differential decreases at smaller apertures. If you don’t need the OIS, the Sigma might be the way to go; if you do — especially if you shoot a lot of video — then we’d lean toward the Canon. Canon has never let us down with the build quality of its lenses, and this new 85mm is everything we’ve come to expect form the L-series. The 85mm f/1.2L II is 12 years old and still running, so we don’t expect Canon will replace the new f/1.4L for many years to come. If, like us, you’ve been waiting for the perfect combination of stabilization and fast aperture, then yes. This isn’t necessarily the best buy for every photographer — it’s hard to argue with the $ 1,200 Sigma — but it does offer a unique combination of features simply not found elsewhere.